From left, standing: Gregg Gentry, Erlanger’s Chief Administrative Officer; Michael Spiegel; and Don Mueller, Vice President and CEO of Children’s Hospital at Erlanger. Sitting: Judy Spiegel; Kevin Spiegel, Erlanger’s President and CEO; Christy Gillenwater, Chattanooga Chamber of Commerce CEO; and Brad Gillenwater. 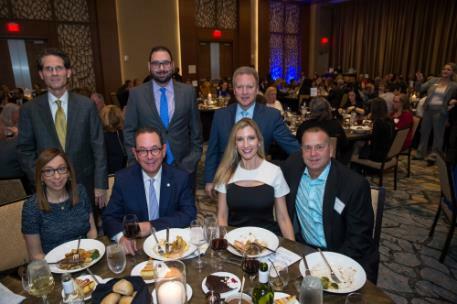 More than $35,000 was raised for Erlanger Health System Foundations during this year’s annual Dinner of Distinction held on Friday. Dr. Mack Worthington, Dr. Larry Schlabach, JoAnne Favors and the late Dr. Francis Fesmire were honored during the event. Drs. 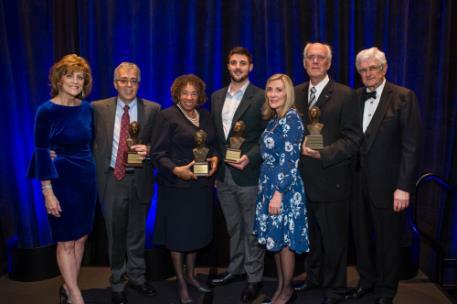 Mack Worthington, Larry Schlabach, and Francis Fesmire were selected by previous Dinner of Distinction honorees and were recognized for their enduring commitment to foster quality medical services to this community, as well as for demonstrating unquestionable character and human compassion. 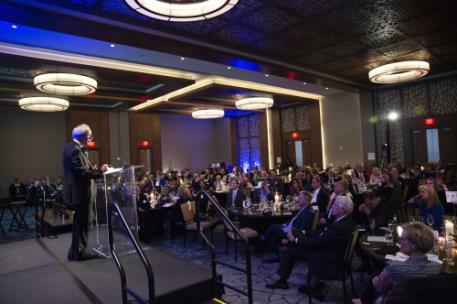 Additional criteria used to choose honorees includes: a person who has contributed a lifetime of medical benefit to the community and a person committed to the healing mission and values of Erlanger Health System, said officials. The Erlanger Foundations also honored recently-retired Tennessee State Rep. JoAnn Favors with the “Gordon Street Distinguished Leadership” award. This award, added in 2010, is given annually by Erlanger to community leaders who have championed the advancement of healthcare in the Greater Chattanooga region, committed to improving the health of people throughout our community and to the healing mission and values of Erlanger, said officials. For more information about Erlanger Health System Foundations, visit www.erlanger.org/giving.